Following some disastrous results posted in recent weeks, Real Madrid's season has officially descended into chaos. They are all but guaranteed to end the season trophyless, while the future of Santiago Solari as their manager remains shrouded in mystery, with reports emanating that the club is set to announce Jose Mourinho as their next manager. For a club of the stature of Real Madrid whose fans are used to winning it all, this is not an ideal situation to be in and as expected, they have have become disillusioned with goings-on at the club. Real Madrid are one of the most successful clubs in the history of football, so they would be desperate to do all they can to regain their spot at the top. In this piece, we shall be taking a look at five things which Real Madrid should do to become the best once again. Goals win matches and every club desirous of making an impact in football must have a proven goalscorer who can find the back of the net on a regular basis. For nine seasons, Real Madrid had that and some more in the person of Cristiano Ronaldo who not only scored goals, but did so at a rate matched only by a handful in the history of professional football. His departure robbed Real Madrid of a player who was guaranteed to score at least 40-50 goals every season and while those numbers cannot be replicated by anyone else (unless you're named Messi), Real Madrid should have at least put in some effort to get a proven goalscorer. The club was linked to a host of players including Kylian Mbappe, Mauro Icardi and Neymar, but rather frustratingly, nothing came out of the speculations, with the Madrid board bringing in only Mariano and choosing to rely on the forwards already at the club. This decision proved to be very counterproductive, as the defending European champions have struggled to get goals this season, going on a shocking run of over four hours without finding the back of the net earlier in the season. So far this term, the six senior forwards at Real Madrid have scored a paltry 23 goals between them in 26 LaLiga matches, with Karim Benzema leading the way with 11 goals. By contrast, Cristiano Ronaldo alone has banged in 19 goals from the same amount of fixtures in Serie A. This has been a rather problematic area for Real Madrid, as a club previously used to winning matches and banging in goals for fun now find themselves struggling in front of the goal. As a matter of priority, Real Madrid must seek out a proven goalscorer to lead the line, as those presently at the club have proved themselves unable to carry the mantra of their attack. 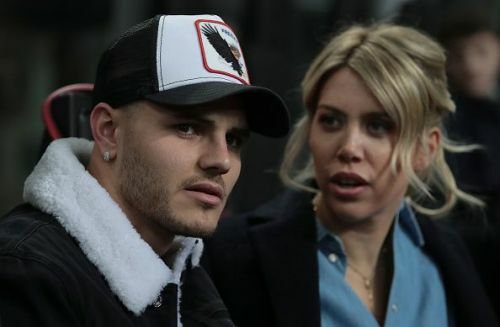 One such player that the club could sign is Mauro Icardi, who currently finds himself at loggerheads with Inter Milan, refusing to show up for training and not watching matches from the stands, while he was also stripped off the Inter captaincy. 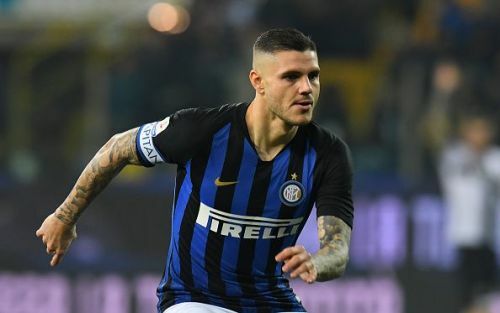 The Argentine international has been a consistent goalscorer for Inter ever since arriving at the San Siro, jointly winning the Serie A Golden Boot at the end of last season and would undoubtedly be an upgrade on the deteriorating Karim Benzema. For Real Madrid to get back to the top, they must get back to scoring goals on a regular basis and with some proven goalscorers potentially available in the upcoming transfer market, the club must do all they can to lay their hands on them.